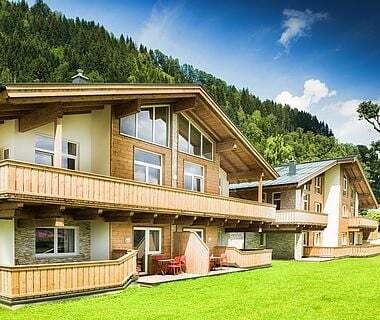 Your dream holiday in the "Home of Lässig"
What could be better than a holiday with breathtaking views in the "Home of Lässig", Saalbach in Salzburgerland? 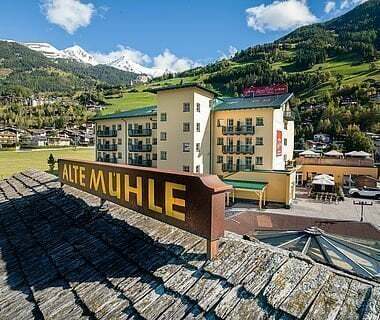 Give yourself a break from everyday life in the 4* Hotel & Apartment Sonnleiten in a unique panoramic location! From 23th December 2018 enjoy an indescribable time in the newly built Sonnleiten. An extraordinary combination of the best of old and new. 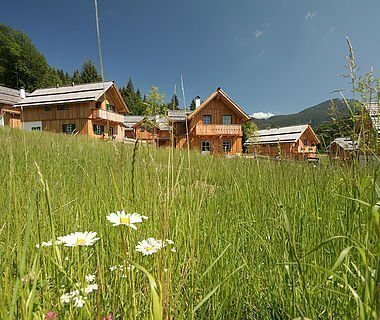 The well-known Sonnleiten service, the special Sonnleiten spirit and the brand new, chic AlpenParks Sonnleiten ambience. 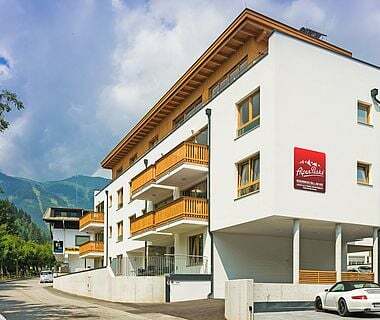 Rooms & apartments with top views, a top location at the ski and bike slope Kohlmais and top service in the usual Sonnleiten quality. 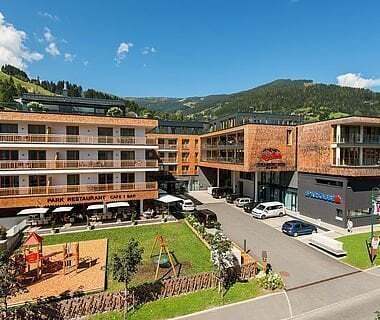 Exterior view of the new hotel complex in Saalbach next to the Kohlmais cable-car. During the winter months you can enjoy "first row foot-free"! 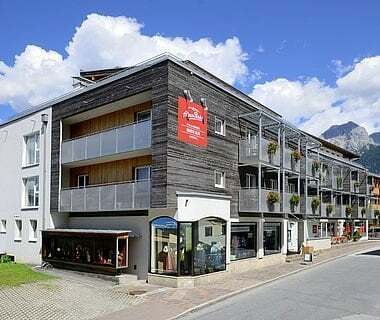 The Hotel Sonnleiten is right on the slopes - so you could not be closer to skiing. By the way: the Skicircus Saalbach Hinterglemm Leogang Fieberbrunn is Austria's largest ski area! 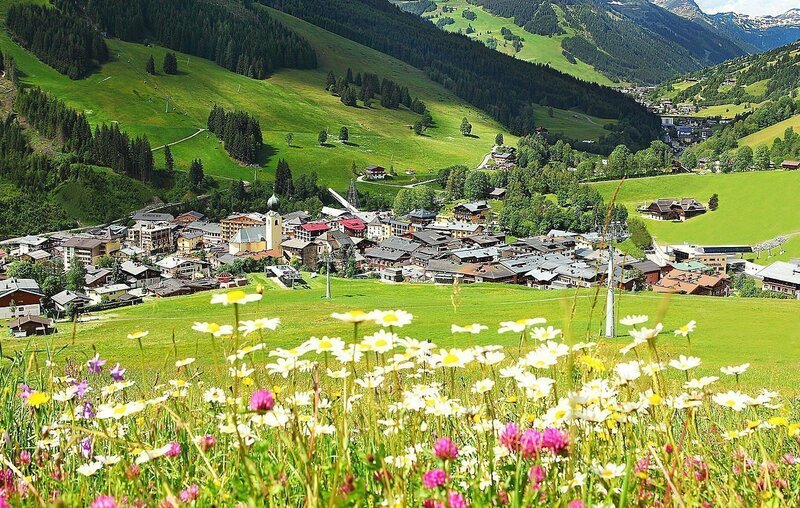 In summer, the region around Saalbach is a paradise for all mountain bike fans. A diverse network of tours will delight bikers of all levels. There are also hiking trails in the area as far as the eye can see. Culinary enthusiasts will be sure to find dishes to their liking at the on-site à la carte restaurant Troadkastn. For those who like to cook themselves, stylish kitchens are available in the AlpenParks apartments. The "Kramerladl" mini shop sells regional delicacies and practical take aways. The Sonnleiten breakfast buffet or half board are of course optional for your stay. Everyone who loves water can best enjoy the beautiful natural scenery from the perspective of the well-tempered outdoor pool. Immerse yourself in the imposing mountain panorama, switch off and forget the stress of everyday life - that's the way to live! 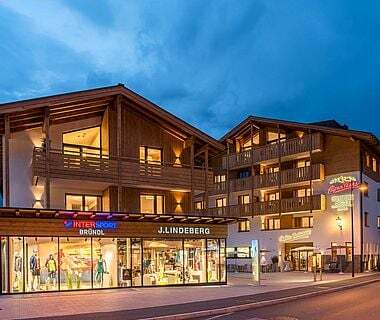 The attractive hotel has an underground car park, lockable ski and bike depots and e-charging stations for cars and bicycles. Experience exclusive hotel rooms & apartments in a sunny and quiet premium location. 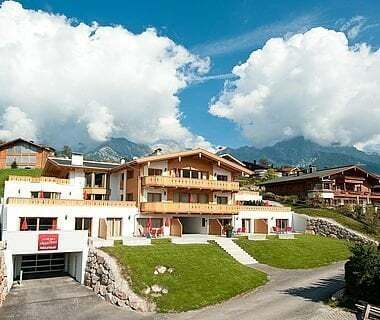 In the Hotel Sonnleiten enjoy an unforgettable holiday for the whole family.